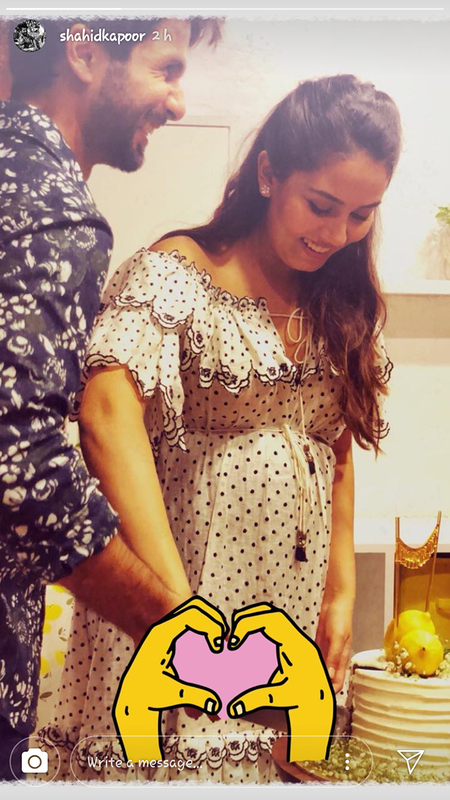 Three years of wedded bliss and one adorable daughter later, Shahid Kapoor and Mira Rajput Kapoor are all set to be Daddy and Mommy for the second time! We already couldn’t handle the truckloads of cuteness that comes with every picture and video of little Misha Kapoor! And two months ago, the Kapoors decided to give us another reason to coo over! Mira Rajput is back to setting maternity fashion goals again, and the pregnancy glow definitely becomes her! The second-time Mommy-to-be had her baby shower over the weekend and it was all sorts of adorable! Lemons and hues of yellow seems to have been the theme for this celebration, with Mira Rajput dressed in the cutest white dress with black polka dots! Of course, doting hubby and Papa-To-Be Shahid Kapoor was by his wifey’s side, indulging in sweet PDA and proudly posting pictures! The cake though, we need to talk about! It was a gorgeous white, with lemon decor and a super fun cake topper that said ‘Happy Pushing’! Both Mira and Shahid’s Instagram stories were pictures of the two cutting the cake! Not enough cuteness, no? Here are some more pictures of the parents-to-be cutting the cake and feeding it to each other! What’s a baby shower without your girl gang there to celebrate you, right? Mira Rajput had her girlies out there in full support and ready to pose! A group picture is a given! Nope, that’s not Misha, though we’re wondering where the big sister-to-be was! But here’s a picture of Mira with a little baby girl and that’s a level of cuteness we absolutely love! Shahid’s papa and grandfather-to-be Pankaj Kapur was there too, along with wife Supriya Pathak Kapur. As for Shahid’s mom, Neelima Azim, she had the company of her son Ishaan Khatter and his Dhadak co-star Janhvi Kapoor. 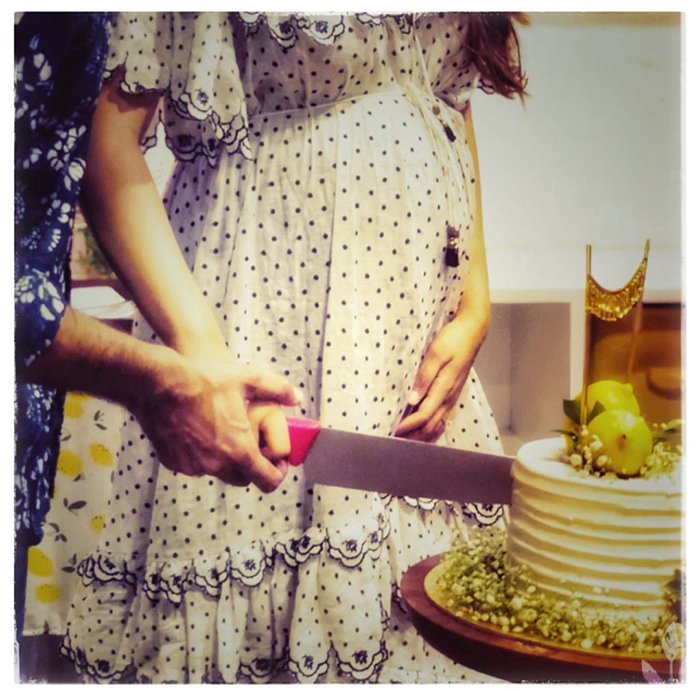 Sweet of them, no, to take some time off their movie promotion and attend the baby shower? We absolutely cannot wait for the new Kapoor baby and for oodles of adorable pictures of this family! Congratulations to ShaMira and Misha!